Not often a side table has a fixed place, but moves around the house where it's needed the most. Tor is designed with the idea that a side table needs to be carried around easily. The raised edge of the top prevents things slide off easily. 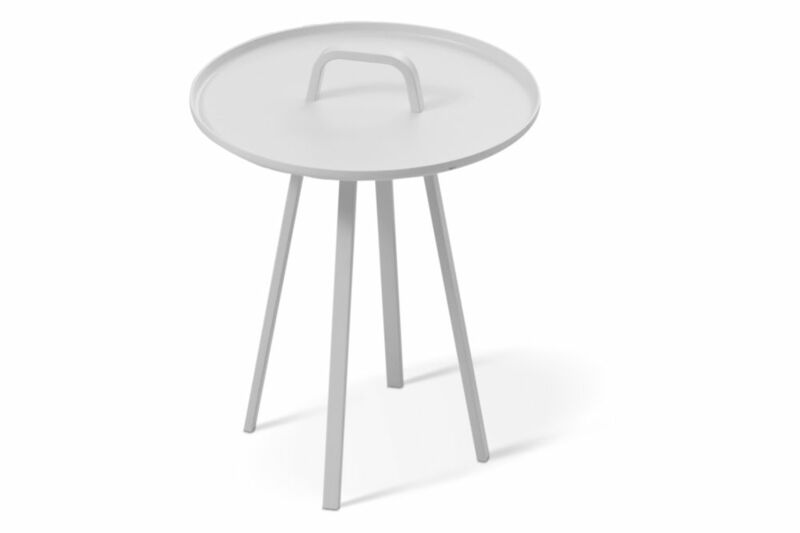 The handle that comes out of the legs makes Tor easy to pick up and gives the table its character charm. Tor is made of powder coated aluminum and can be ordered in six different colors. Lambie & Van Hengel is a collaboration between designers Ralf Lambie and Johan van Hengel. They work in various fields of design, but focus on designing objects for everyday living. Their collaboration is a permanent dialogue in wich they draw upon different backgrounds in industrial design, architecture and brand strategy. In their first year of collaboration they won the Elle Wonen Design Talent Award with their sidetable TOR.